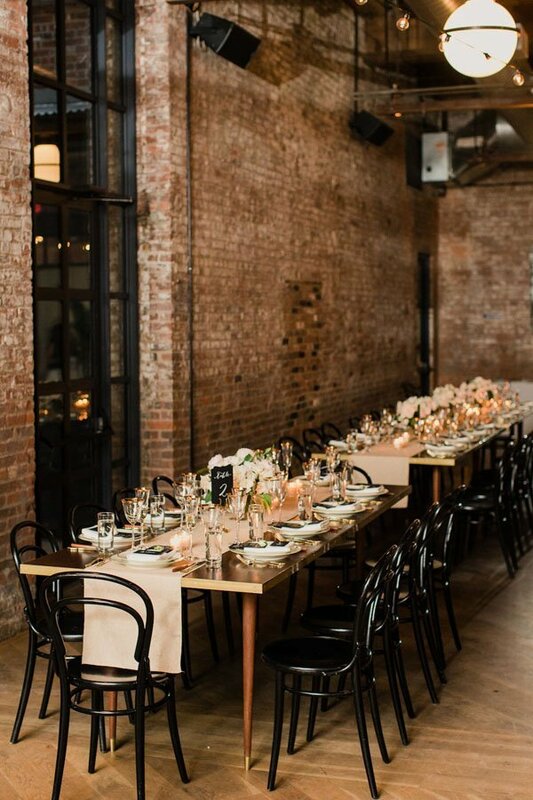 Our average base cost for a Wythe Hotel wedding is calculated by figuring a 130-person guest list for a Saturday ceremony/reception in July using a food/beverage cost of $265/pp, making sure all Food and Beverage minimums are met. Entertainment, flowers, additional decorations and rentals, transportation, and photography are NOT included. Price is rounded up to the nearest thousand. Gratuity and sales tax is included. 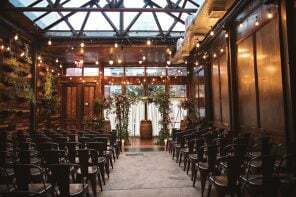 Facility Rental Fee: The venue rental fee for the Wythe Hotel breaks down as follows, listed below along with minimums for each month/day that include Food and Beverage, space rental fee, rentals, staffing, and the admin fee. 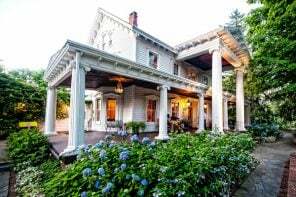 Food and Beverage: Their in-house restaurant Reynard provides the catering, so no outside caterers are allowed. 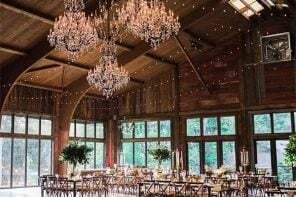 Their average price per person is $265, which includes five passed hors d’oeuvres at cocktail hour, family style dinner, wedding cake, five hour premium open bar and service ware rentals. Other Vendors: Other outside vendors aside from catering are allowed. 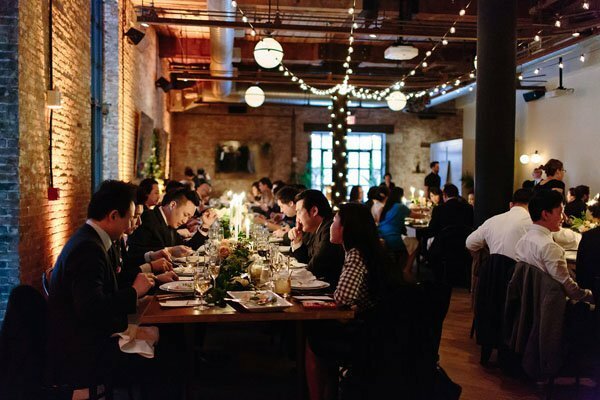 The most common set-up is an outdoor garden ceremony and cocktail hour with dinner indoors, or an indoor ceremony with cocktail hour outside and dinner indoors. Bridal Suite: The hotel offers loft rooms at a discounted rate to get ready in. How Will Grandma Get There? Ideally Grams will stay at the hotel, which will offer discounted room blocks for weddings. 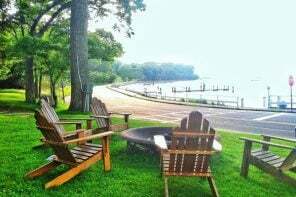 Non-wedding rates start around $350/night and up. 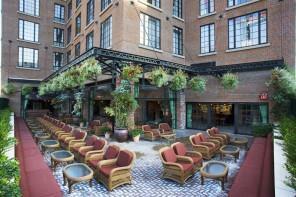 The hotel is about 20 minutes away from LaGuardia Airport and 24 minutes from Grand Central Station in New York City. The closest subway station is at Bedford Avenue which is an 8-minute walk. 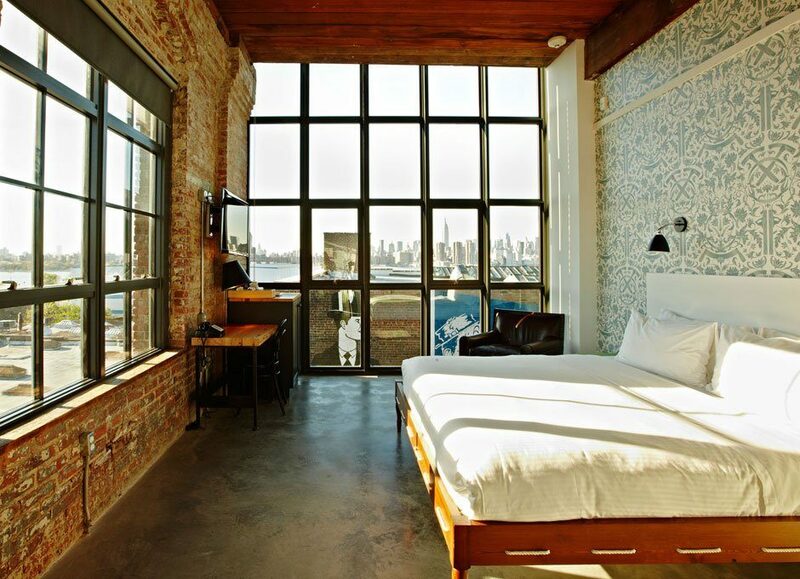 The Wythe Hotel, located in the ever-changing Williamsburg neighborhood of Brooklyn, was created in a factory space originally built in 1901. 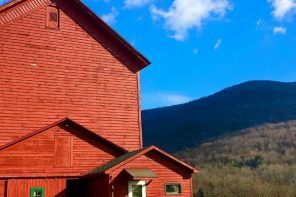 Now a 70-room hotel, the building still retains many of it’s former factory elements, including heavy yellow pine beams, pine ceilings, original masonry and brick walls, arched windows and cast-iron columns. 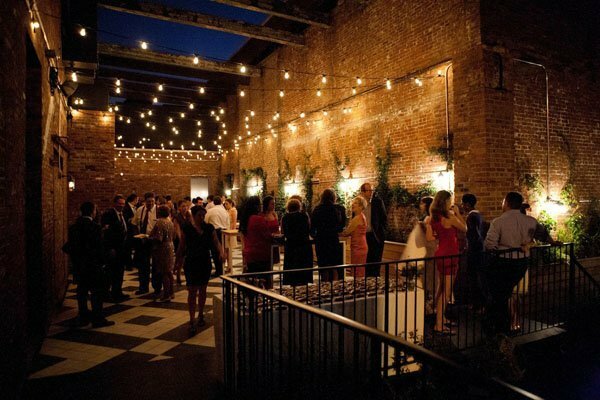 In addition to serving as a hotel, the Wythe has hosted everything from business meetings, weddings, celebratory cocktail receptions, and fundraising galas, to intimate dinner parties and brunches. 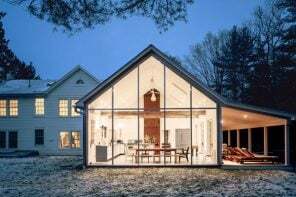 All of their event menus are created in-house by Reynard, Andrew Tarlow’s ground-floor restaurant, with menus featuring seasonal, locally-sourced American fare accompanied by minimally-processed wines and spirits. 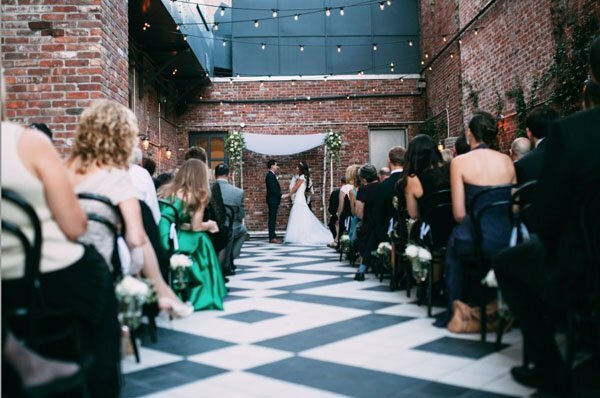 Brides have reported amazing service from this Brooklyn wedding venue, and love it as a hotel as well. 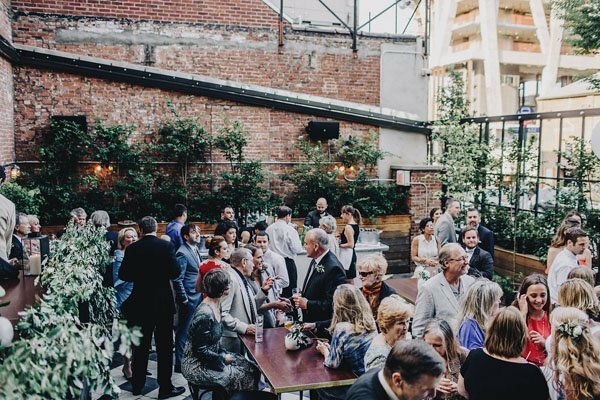 While their minimums are higher than other venues where you can bring in your own caterer, the good news is you get A LOT for your money which will help offset the cost. 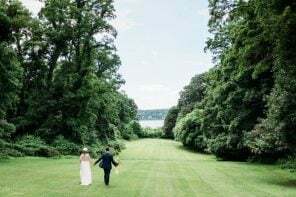 If you love this venue but have a tighter wedding budget, I would think about a Sunday wedding here in peak season months, or even a March wedding if you don’t mind less mingling in the outside space due to cold temps. 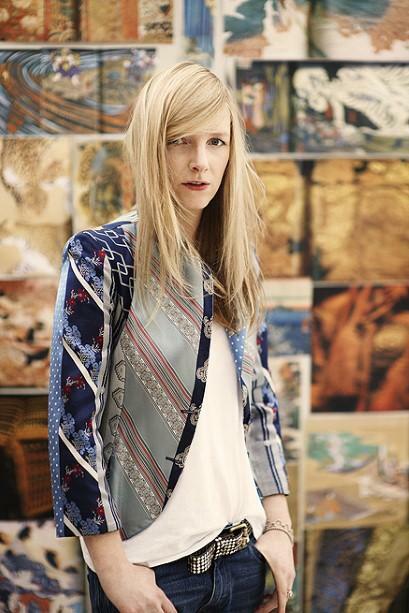 Sarah Burton for Alexander McQueen: The Royal Wedding Dress Designer! Kate Middleton is planning on wearing an Alexander McQueen wedding dress, designed by Sarah Burton.